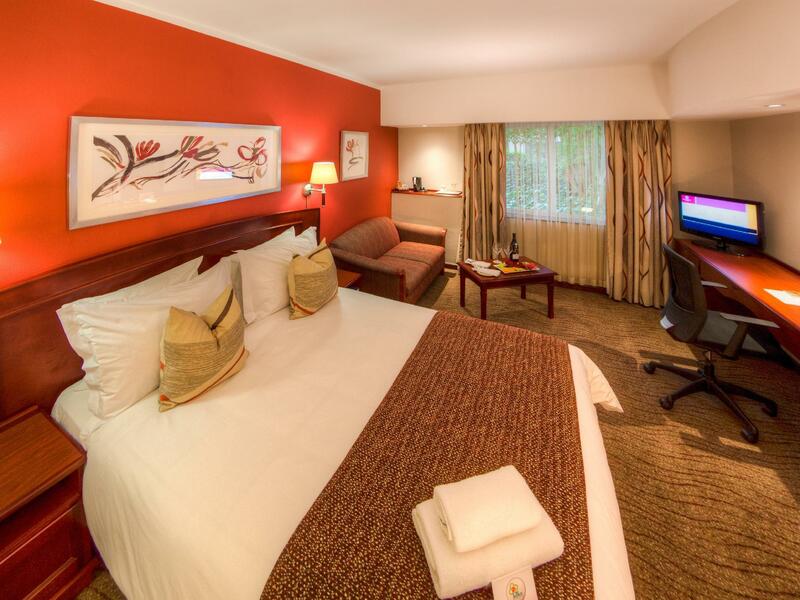 ﻿ City Lodge Hotel Sandton Morningside Johannesburg Johannesburg. JIMAT di Agoda.com! 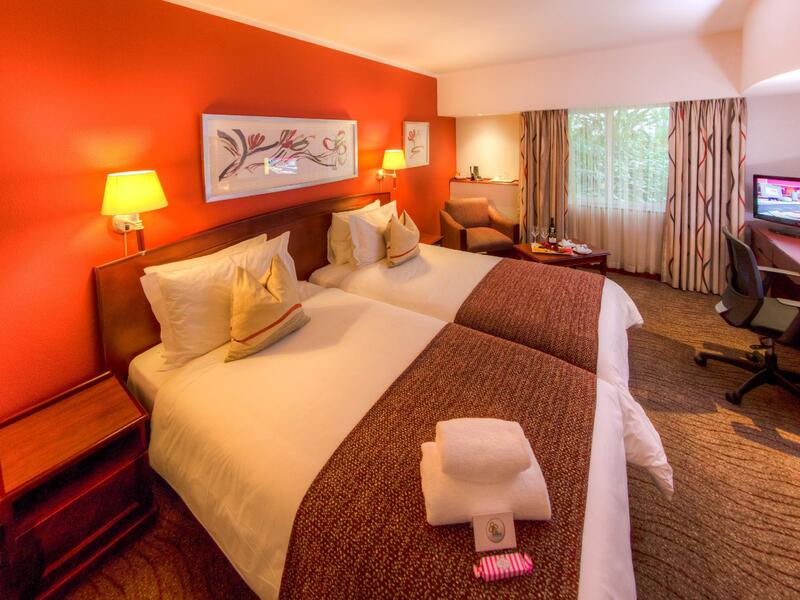 Ada soalan mengenai City Lodge Hotel Sandton Morningside Johannesburg? 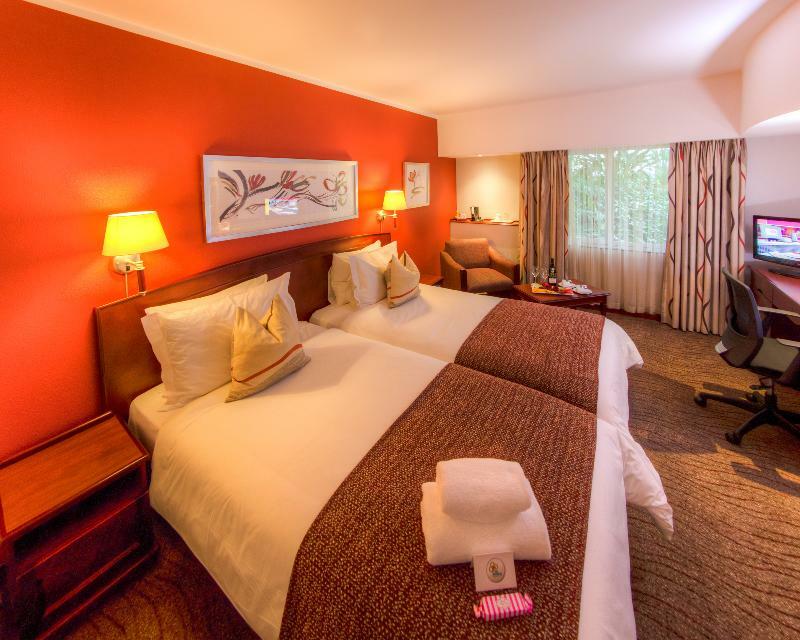 Terletak di kawasan yang indah di Sandton, City Lodge Hotel Sandton Morningside Johannesburg menikmati posisi megah di hab bisnes, restoran, beli-belah di Johannesburg. Dari sini, tetamu boleh menikmati akses mudah kepada semua yang bandar meriah ini boleh tawarkan. Tidak kurang hebat adalah akses mudah hotel untuk ke pelbagai daya tarikan dan mercu tanda bandar, seperti Klinik Medi Sandton, Gereja Ortodok Greek St. Athanasios, Gim Virgin Active Sandton. Pendek kata, semua perkhidmatan dan kemudahan yang anda harapkan daripada City Lodge adalah tepat bagi keselesaan seperti berada di rumah anda sendiri. Untuk menamakan beberapa kemudahan di hotel ini, terdapat Wi-Fi percuma semua bilik, khidmat teksi, meja depan 24 jam, fasiliti tetamu kurang upaya, simpanan bagasi. 160 bilik di sepanjang 3 tingkat menyediakan suasana nyaman dan menyenangkan. televisyen skrin rata, linen, cermin, tuala, payung boleh didapati di beberapa bilik. Senarai lengkap kemudahan rekreasi boleh didapati di hotel, termasuk pusat kecergasan, kolam renang terbuka. 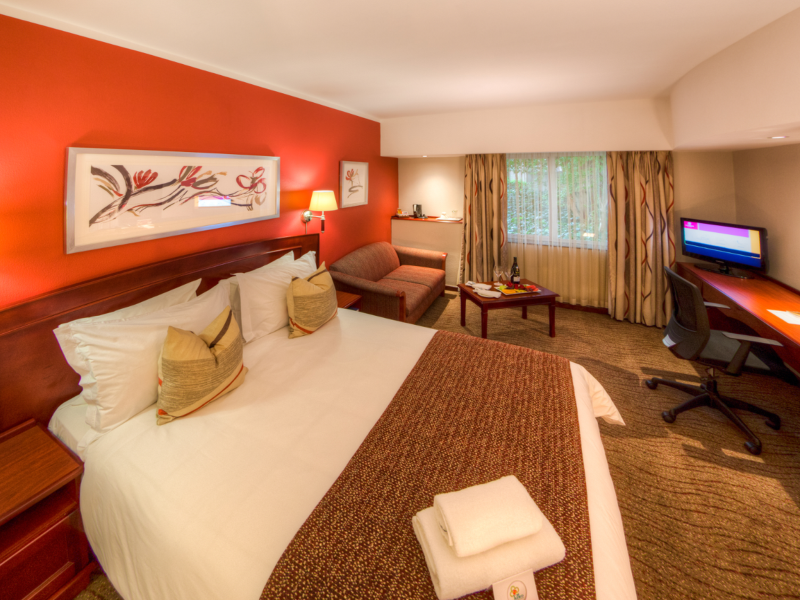 Temui gabungan yang menarik antara perkhidmatan profesional dan pelbagai kemudahan yang ada di City Lodge Hotel Sandton Morningside Johannesburg. My stay has been very comfortable. Staff friendly, professional and courteous and always helpful. Good atmosphere. I had a great room during my stay and would definitely return. City lodge morningside must improve on the staff especially the staff working in the dining serving customers. The guys who served dinner where below par and the old woman during breakfast just mess up your morning. They come for work and all they do is congregate and talk amongst themselves, while the coffee pots are behind them. They need to be agile and try catching the guests and offer hot beverages. They should hv retired by now. Not sure if that service is outsourced but irrespective that business makes money. I had to go out to have dinner on the second day when I could have invited my friend I was entertaining to come over. I ended up sitting in the joburg traffic which was not necessary if the restaurant service was matched to the facility. They could consider serving basic drinking water free and make available a free shuttle to Mandela Square. All hotels offer that minimum in Sandton. Me and my fiance decided to stay at this hotel for a night due to the rudeness of our previous hotel. (And it was a 4star hotel!) Anyways, the staffs were amazing. There was a system problem and the hotel couldn't check in us. we had to wait for some time to check in but the staffs were trying hard to solve the problem asap. We had the same problem at the previous hotel but they were like 'we dont know so we dont care'. Anyways, The hotel itself is very old. There's no elevator... the cleaness of the room was ok. This is the cheapest place I can find in Sandton area and we were not disappointed. 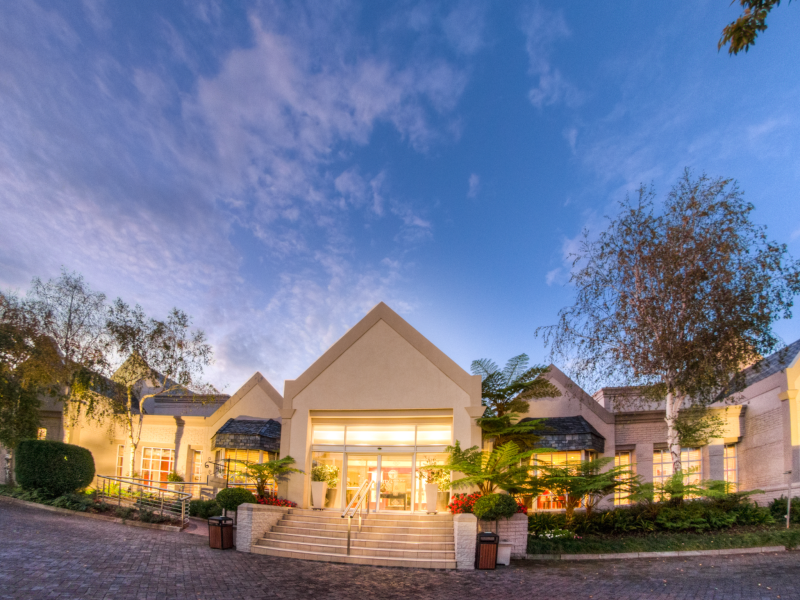 It's great value for money but location is a bit far from the Sandton City mall. Rooms are clean. Their facilities are however only satisfactory since their menu options are a bit limited (in-house) You'd have to order via their sister hotel along Catherine road to satisfy a pasta craving. I was also disappointed by how their staff are... they're poorly trained and doesn't understand English all too well.... But nonetheless, hubby was ok with the hotel overall. Plus they made up for everything with free breakfast (coffee, muffin, bread bar & fruit) and afternoon juice (to refresh). Their room service is run out of another hotel about 5 kms away. You are charged a delivery fee. The desert I ordered was disgusting and Sidd not include the ice can it was meant to come with. It seemed quite okd as well. There was no over in their ice machine. Great location and friendly staff. Home away from home. I was delighted with everything about City Lodge except for the confusing situation in the dining room. There were two menus, and it was never explained that one had something to do with food being brought in from outside. I waited an hour and twenty minutes for a cold dinner. The next day I learned to order from the other menu.